for me I am totally out of it. I would have loved to give you some great updates and chat about how it all was feeling but my body feels like a 100 year old elephant. I need to sleep and eat properly. Then get going again. 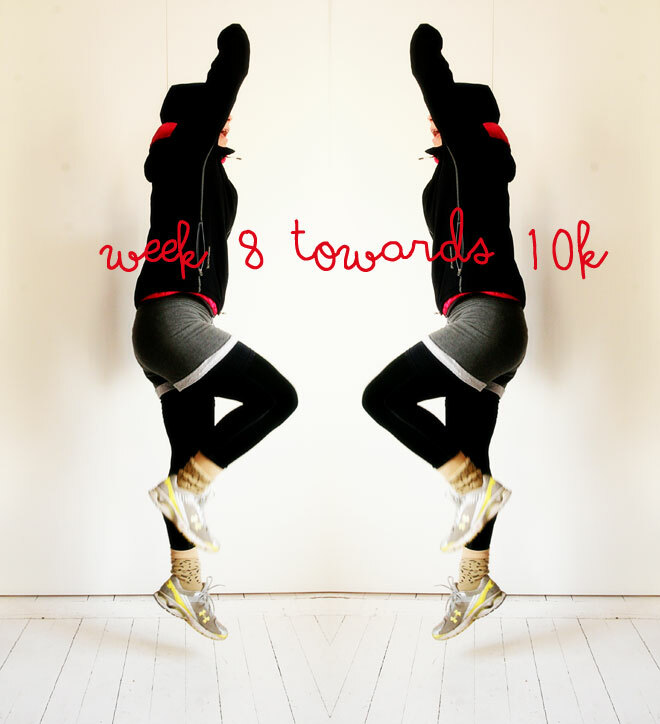 But for all you other superstars here comes week 8 of Dosfamily running Club! Copy week 6 or choose a favorite. Choose favorite moves from early weeks. Keep in mind that calves, hip flexor, front thighs, rear thighs, outer thighs and buttocks are important to stretch after every running workout. Start with 5 mins slow jogging. Jog (walk if you must) for 3-5 mins. Walk for 5 mins or more. TIPS: If you want to have something to compare to further on measure the distance and exercise. Use a telephone app, watch, gps or pick a path you know the distance. Jog (walk if you must) for 3 mins. Thanks to Kvitter Javelin for this great program! All the sessions – all weeks programs you can find here on this link. oh my body is the same at the moment. right now i´m sick and just need to rest and get ou of this bad cold. and it´s so sad for me, that i cannot run at the moment. felt so good all the time. so i also have to restart when i´m well…hopefully very soon! hope you feeling powerful again very soon, dear isabelle! I’m finally back on the track! :D Yesterday I went running, first time after 4-week break. I felt like you, but running makes me feel lighter and gives me so much energy. I ran only 4k yesterday and today, just to check my knee, everything seems to be alright. Yay!